Toronto hard rocker Danko Jones hit Edmonton's Starlite Room last night (November 8) in support of this year's Wild Cat LP, but his band dug deep into their catalogue as Jones treated the venue to a night of raucous fun. We sent Exclaim! photographer Dana Zuk to capture Jones' set. Read her thoughts on the evening and check out a selection of photos capturing the moment below. Then, swipe through the Instagram gallery at the bottom for more. 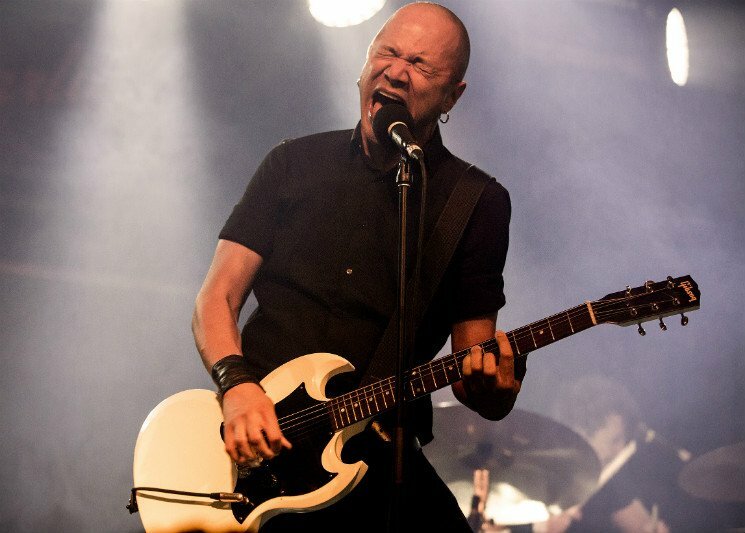 Never mind the chill outside on the downtown streets of Edmonton, because the Starlite Room was heating up while being served a healthy dose of hard rock medicine, as rock'n'roll trio Danko Jones laid waste to a full room of eager fans. Though Jones visited Edmonton just seven short months ago, the room filled up impressively with eager concertgoers anticipating a hell of a show. At last, Jones and co. tore into their set with bared claws and gritted teeth, amping up the room with heart-pounding kicks and bass lines that filled many folks in the room with the visible and insatiable urge to dance and sing. Playing just over an hour's worth of hard-hitting tunes, Jones and his two mates rocked the night away extra hard for Edmonton. "I salute you crazy fuckers," Danko exclaimed. "You're out here on a Wednesday night in minus 20 degree weather; now that's rock'n'roll."